Where did the world come from? What is the meaning of life? Why are we here? Why do bad things happen to good people? Why would a loving God allow death and suffering? Adam lived in paradise, had a personal relationship with God, and only had one rule to obey. So, why did Adam rebel and sin against his creator? The answers to these questions, and many more, are all found in the first four chapters of Genesis, the first book of the Bible. Have you ever wondered what it would be like to suddenly come to life in a fully formed adult body like Adam and Eve, with all normal adult abilities including speech and physical coordination, but with no memories? If God were to welcome you to His brand-new world, what would you want to ask Him? This book will explore these questions and seek to open the eyes of our understanding. God is very sparing with His words. He covers creation and the fall in just three chapters. God told us everything we need to know, but not enough to fully satisfy our curiosity. Other passages in the Bible provide valuable information that helps fill in the blanks, but they do not tell us the whole story either. People love stories and learn from them. Jesus often used parables, stories, and physical illustrations to explain spiritual truth. That is the goal of this book. Why did Adam rebel and sin against his creator? I am working on a Biblical historical fiction based on the first four chapters of the book of Genesis. 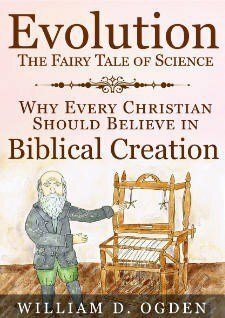 This book tells the tale of creation and the fall in story form using what God told us in Genesis and throughout His Word. The story of this book is built around the truths of Scripture. It seeks to fill in the blanks using imagination and information found elsewhere in the Bible. 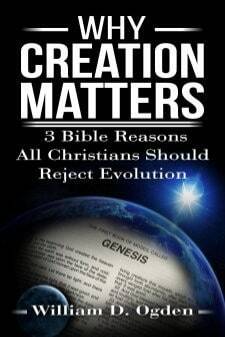 It seeks to portray Bible truth in ways that will help you understand what happened at the dawn of Creation. The man’s body lay on the ground, naked in the sun. He was muscular and lean, with golden brown skin and short dark hair, but he wasn’t breathing. A radiant man with snow white hair and fiery eyes stood by the naked body, wearing a long white robe with a golden sash. The living one bent down and put his mouth over the nose of the lifeless man. It looked like mouth-to-mouth resuscitation, but it took only one breath. The man’s lungs filled with air, and he was suddenly aware. God had breathed life into him; the Spirit of God entered Adam along with that breath. His body now contained a living soul. Man had been given life; he was alive mentally, physically, and spiritually. Adam awoke like a man with amnesia out of a dreamless sleep. He had a fully functional adult mind and body. He could walk and talk, see and hear, think and feel. But he couldn’t remember anything. He had nothing to remember because he had no past. God had just created him, so he had no memories. He was a blank slate. The man felt his chest rise as he started breathing on his own. He heard birds singing, and felt the warmth of the sun and a gentle breeze. Adam was filled with wonder as he opened his eyes and beheld the beauty of a clear blue sky. “Does Your Spirit fill me?” Adam asked. “What is spirit? How is it different from the things I see around me?” Adam wanted to know. “What is the earth?” asked Adam. “Why will it get dark tonight?” asked Adam. “What is “dark”?” the man wanted to know. “Darkness is the absence of light.” God replied. “But I thought you said the moon would be a light at night. So why will it be dark?” Adam asked. “Why did you make a night light that leaves the night dark?” the man asked. “Wow! Is there a reason for everything You did in creation?” Adam asked. “I believe You Father.” Adam said. “What does it mean to pray?” the man asked. 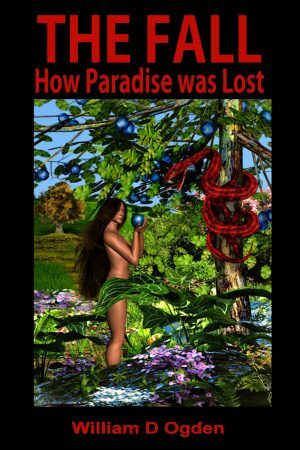 I hope you have enjoyed this preview of “THE FALL – How Paradise was Lost.” I hope to finish the book and publish it by the end of the year, and I could use your help. If you would like assist in this endeavor, I would appreciate your suggestions as a Beta-Reader. If you would like to just keep reading as I finish sections of the book, I also welcome Early Readers.